This has been a big week for the Palm Pre -- and not necessarily in a good way. First, Sprint and Palm confirmed the launch date -- the Pre goes on sale on June 6. That was notable in of and itself, as it meant Palm would stick to its Consumer Electronics Show launch commitment of "first half of 2009." But even with Palm making ia self-imposed deadline, my colleague Ginny Mies began to wonder, at what cost? 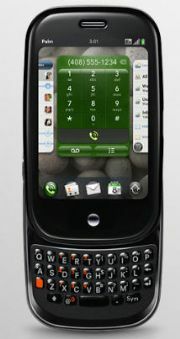 Would Sprint and Palm handle the Pre's launch with verve? After all, this is the phone Sprint may actually have a shot at challenging AT&T and its iPhone with. It's also Palm's best bet to breathe new life into the company's ageing handset line. Yesterday, the cost became apparent: In an interview with Reuters where Sprint's CEO Dan Hessenotes the company doesn't plan to heavily advertise the Pre. He explains: "We think we are going to have shortages for a while," Hesse said. "We won't be able to keep up with demand for the device in the early period of time." Translation: In order to keep to its announced launch period -- something Palm has notoriously slipped from before -- Palm is going to market with inventory that won't meet demand. Hesse's comment is odd, because the early launch period is exactly when a company should be ramping up marketing and stirring interest in its hot new product. Also odd: By admitting to shortages now, two weeks before launch, Palm and Sprint have given AT&T a carte blanche to start promoting the third-generation iPhone to mainstream buyers who want a sharp smartphone. Apple is expected to announce a third-gen iPhone at Apple's Worldwide Developers' Conference the same week as the Pre launch. Of course, Hesse's comments will also serve to spur on Pre-mania. It will be interesting to see on launch day whether Pre can command the same level of devotion that iPhone line-sitters have showed in the past.